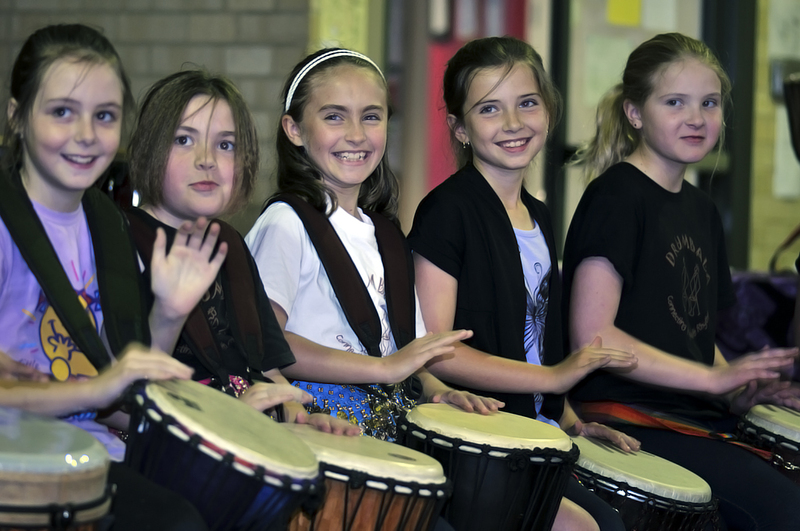 Throughout the school holidays Drumbala hold Holiday Drumming Playshops for kids. Playshops are 1 hour of fun and games played on djembe drums and percussion instruments (which we supply) facilitated by Drumbala to promote creative expression and interactive group play. 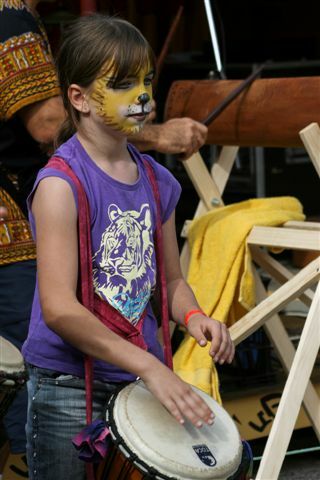 We come to you with djembe drums and percussion instruments for a 45 minute fun filled drumming playshop. The children will learn a few easy rhythms, play drumming games and will also have the opportunity to experience interactive and creative group expression with rhythm. Suitable for: Kindy Kids – 3years to 5 years, Primary and High School students. We have our Working With Children Check and Public Liability Insurance. Don’t miss out on this very popular activity these school holidays! This is a fun and dynamic way to celebrate that "special day" with a difference!!! We will come along and bring some drums so everyone can have fun and learn to play an African djembe hand drum. We play drumming games and also bring lots of percussion instruments so all can join in to accompany the rhythms. The Birthday person will receive a special Drumbala gift!! !